When I first heard of the recently founded headphone maker Sol Republic, my first thought was if there was any room left on the market for a new supplier of premium headphones. The U.S. market in particular is dominated by Beats Audio – the company with Dr. Dre as its face, followed by several competitors. In a nutshell – it is not the friendliest environment to launch a new product, given the already established competition. Once I found out more about the newcomer however, its aspirations began to make a lot more sense. Sol Republic (by the way, Sol stands for “soundtrack of life”, not something related to the sun) is founded by Kevin Lee, Scott Hix, and Seth Combs. The first one of the bunch has some serious audio credentials – Kevin Lee is the son of the CEO and founder of Monster Cable, Noel Lee. His previous work includes involvement in the Beats Audio project (in case you are not familiar, the Beats by Dr.Dre headphones are manufactured by Monster Cable). The three partners decided that a pair of high-quality earphones should not cost more than the device which they are played on and, voila, the Sol Republic philosophy was born. I did get a chance to spend time with the over-the-ear model from the company, dubbed “Tracks”. With a $99.99 price tag, they cost half as much as their Beats Audio alternative – the “Solo” model. The first impression I got when I got hold of the headphones was that they should cost significantly more than their price tag suggests. Packed in an elegant black and white box, the headphones are sleek, stylish – starting with the headband, then all the way to the built-in microphone/remote control. I’ve prepared a few live shots of the Sol Republic Tracks. Check them out below. The build quality is impressive too – the headband is made from a proprietary polymer, called FlexTech. It is light and allegedly, virtually indestructible. The headband comes in different colors and can be purchased separately, thus allowing you to change the look of your “Tracks”. Speaking of changing – the theme runs through the entire design of the headphones. They can be completely disassembled and, if necessary, each component can be replaced separately – good news when it comes to technical support. The headphones felt light and comfortable when worn. In terms of usability and ergonomics, I found nothing to frown about. Now a few words about the sound. 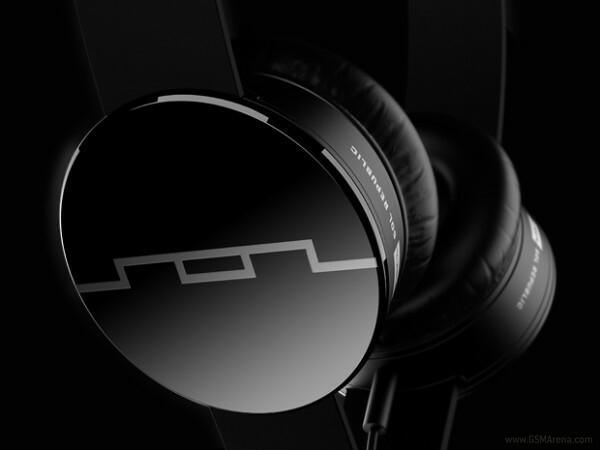 Sol Republic republic call the tech built into the “Tracks” a V8 sound engine. The latter is designed to give you the feeling of being in the middle of the band during a concert (this is what the company claims). In real life, I found the headphones to sound as if they cost several times more. The lows were deep and punchy, while the highs came out nice and clear all at the same time. The Sol Republic Tracks are fully compatible with the Apple iPhone models with remote functionality remaining intact. As far as Android devices go, the microphone/remote works, but in a limited fashion – you will have to make do without the volume controls here. For $99.99 the over-the-ear headphones can hardly get any better. The Sol Republic Tracks look, feel and sound amazing. While there surely are better sounding options out there, none of them comes close to the price/quality ratio of the newcomer. This makes them easy to recommend.